The wonderful thing about going on a holiday is that I get to see lots of new animals. So far we have seen lots of pelicans in Berri and as we travelled further north, we saw lots of kangaroos and emus. 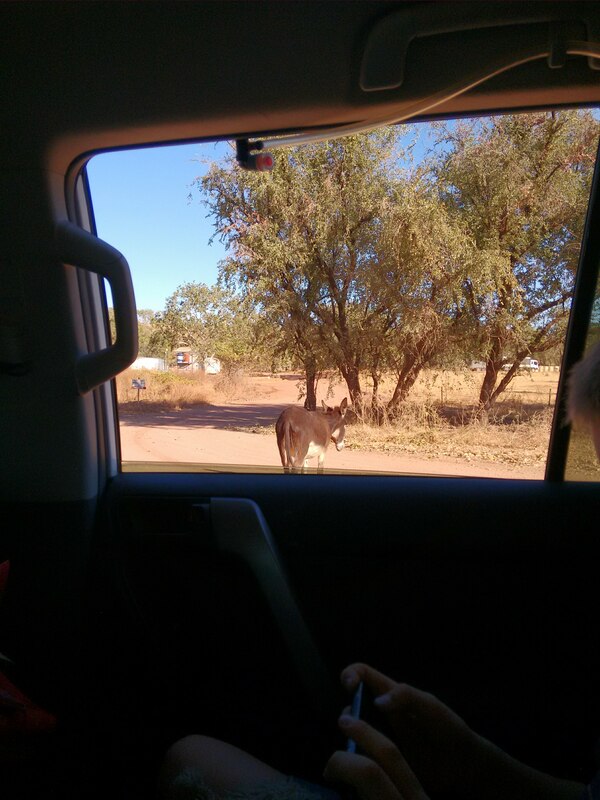 There have been lots of cows, horses and other cattle crossing the roads. 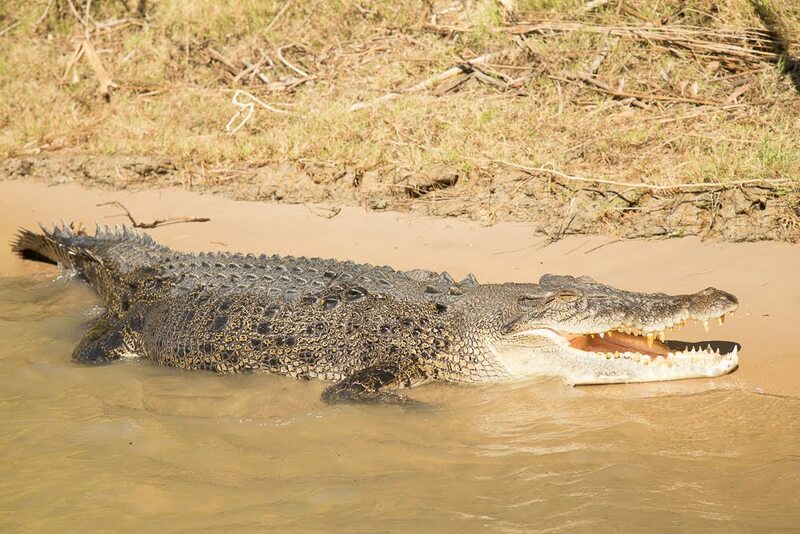 In Kakadu we saw lots of saltwater crocodiles. The crocodiles were catching fish in the East Alligator River. As we got closer to the coast, we saw lots of seagulls and other coastal birds. 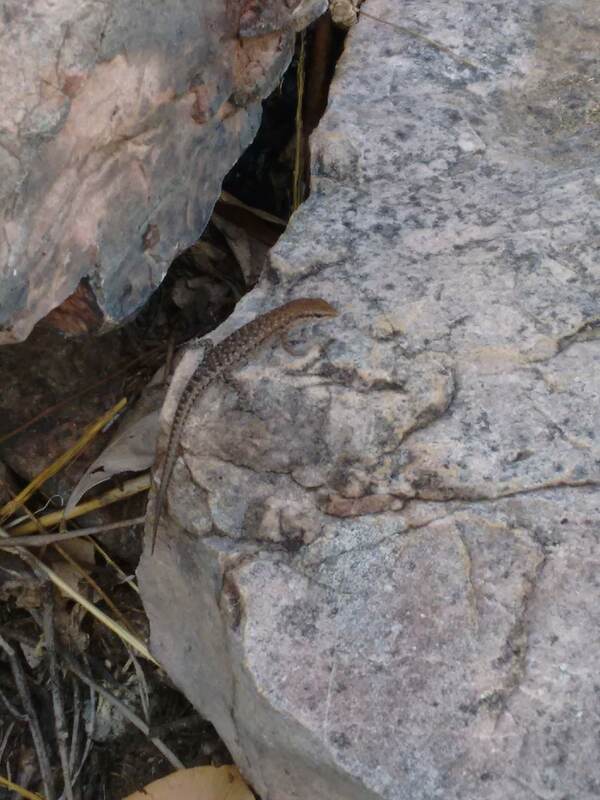 There have been lots of lizards on walking tracks and around campsites. 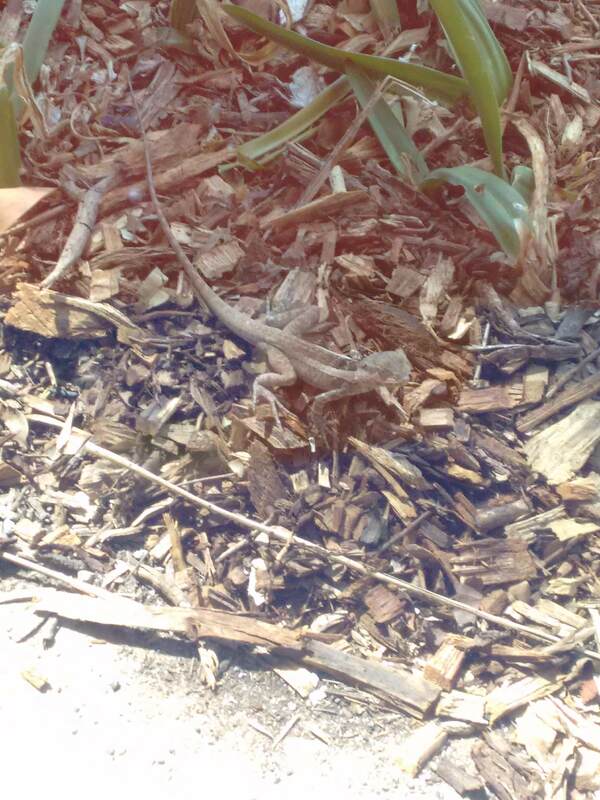 Here are some photos of the lizards I have seen. We saw whales swimming off the coast of Cape Leveque. They were heading South, to Antarctica. I went snorkelling and saw lots of stripy fish and coral. I went up to Monkey Mia and we saw lots of dolphins and I got really close to one. While I was at Monkey Mia, I spotted a Green Turtle swimming near the jetty. After going to Uluru we came in to Alice Springs. 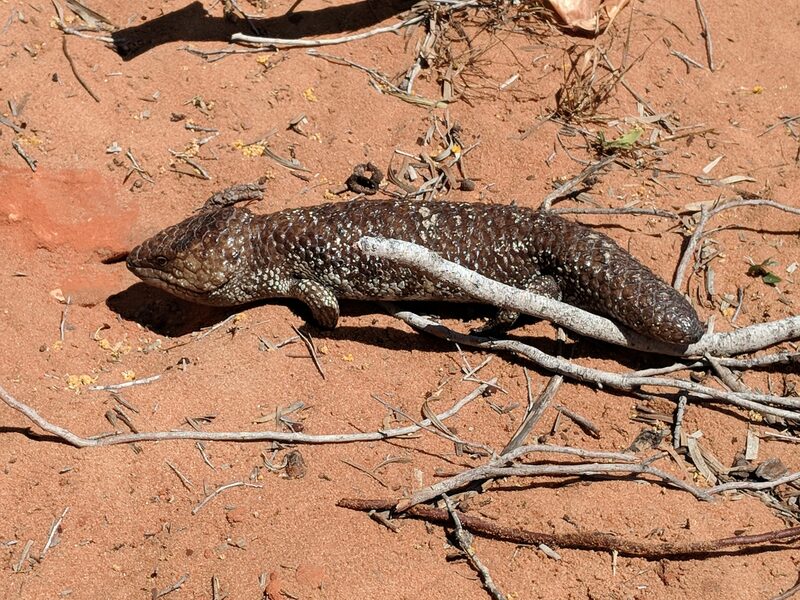 In Alice Springs we visited some of our friends. 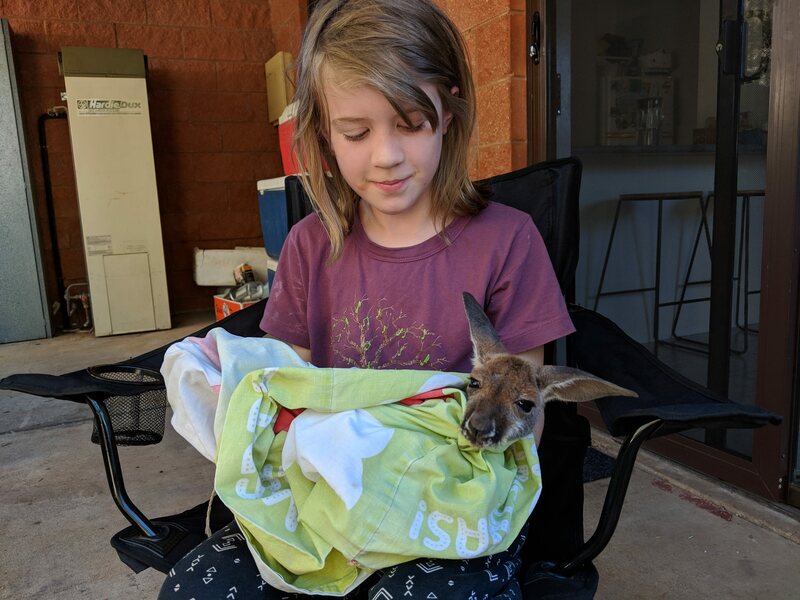 They were looking after a joey Red Kangaroo. When we visited them the joey was hopping around their backyard. When I had a hold, it licked me and felt warm. It didn’t have much fur. When it is older, it will grow to be very tall – about twice as tall as me. It was so cute. 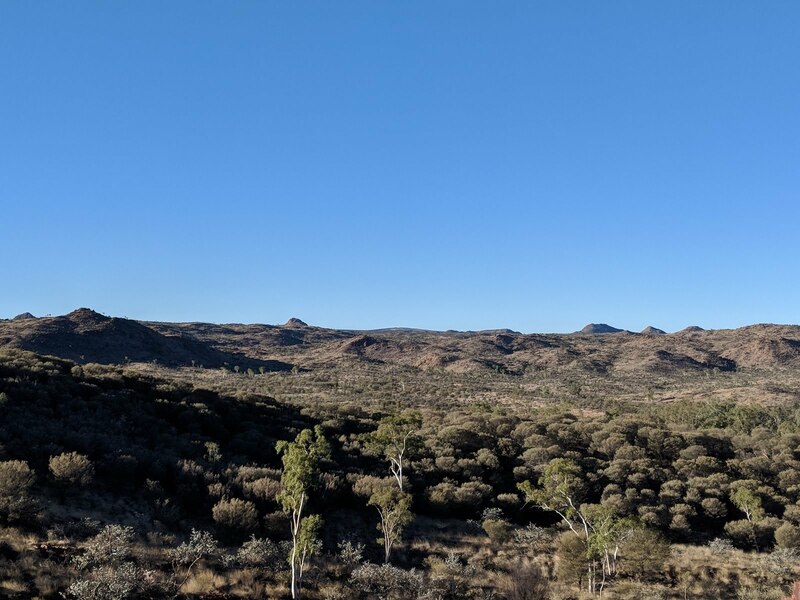 Next we went to Trephina Gorge, where we saw the biggest ghost gum in Australia. We also went for a walk along the Panorama walking track. The track was very rocky and steep. If you are afraid of heights, I would not suggest you go on the walk. It was great fun. 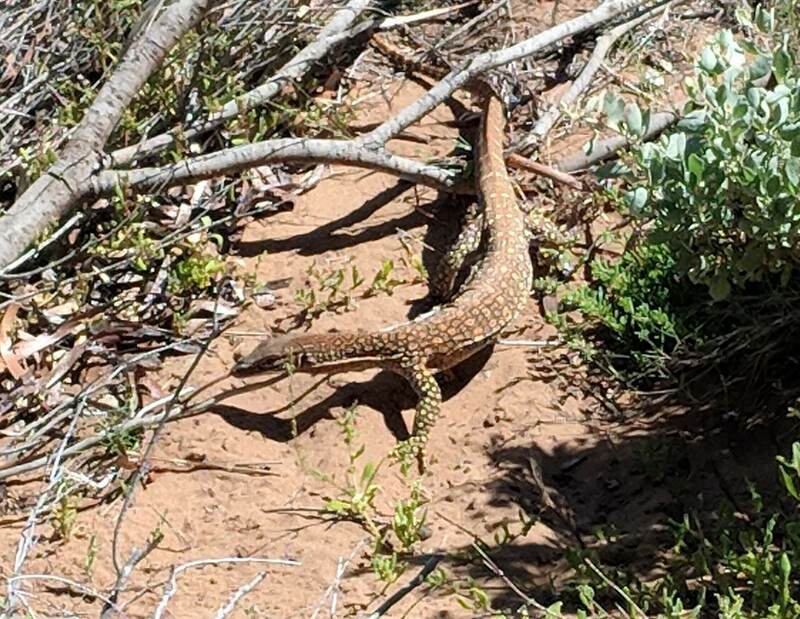 We walked through a dried creek bed. The sand was so hot. 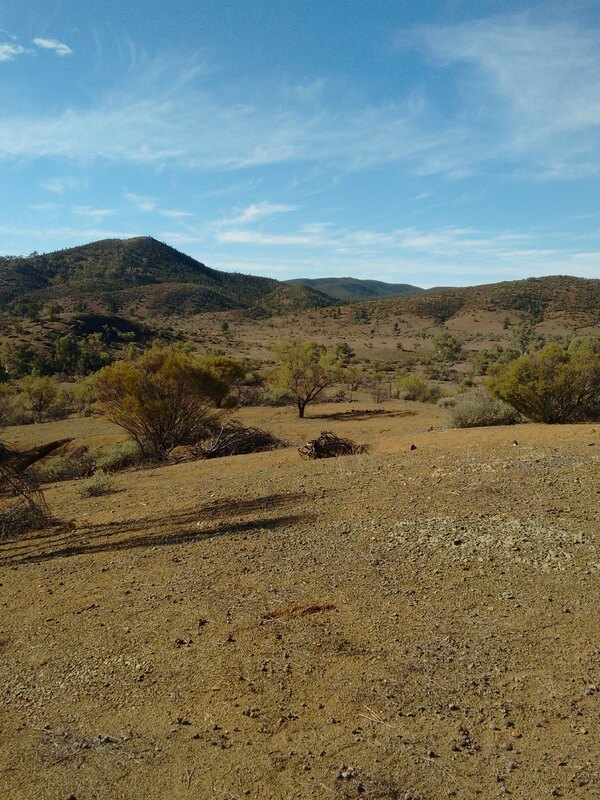 After leaving Berri we went to the Flinders Ranges and we found lots of walking tracks. Then we stayed along the Oodnadatta Track. After that, we stayed at Coober Pedy and went to an underground opal museum, I thought it was cool. 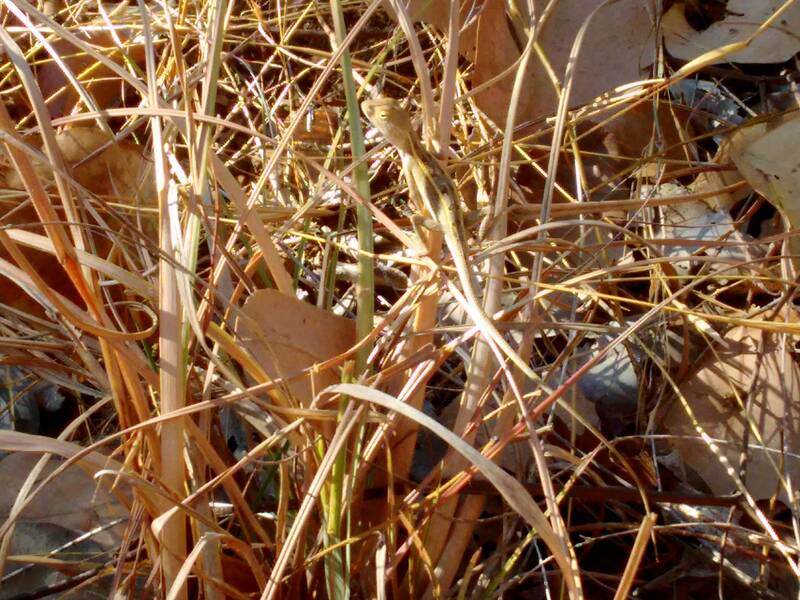 Next we stayed in a dry river bed next to a road then we left to go to Uluru. 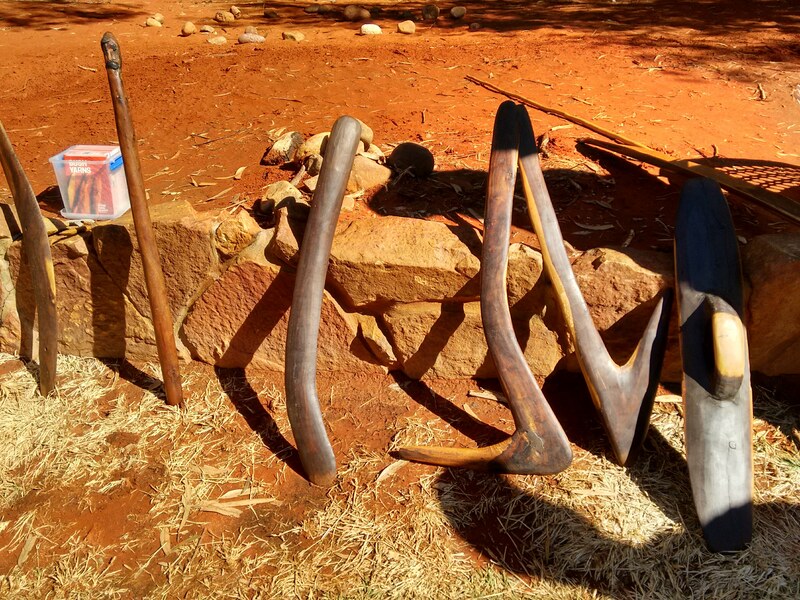 On our visit to Uluru and Kata-Tjuta, we rode our bikes all around the bottom of Uluru. We watched the sunset over Uluru and drew pictures of it. Then in the morning, we got up early and saw the sunrise. 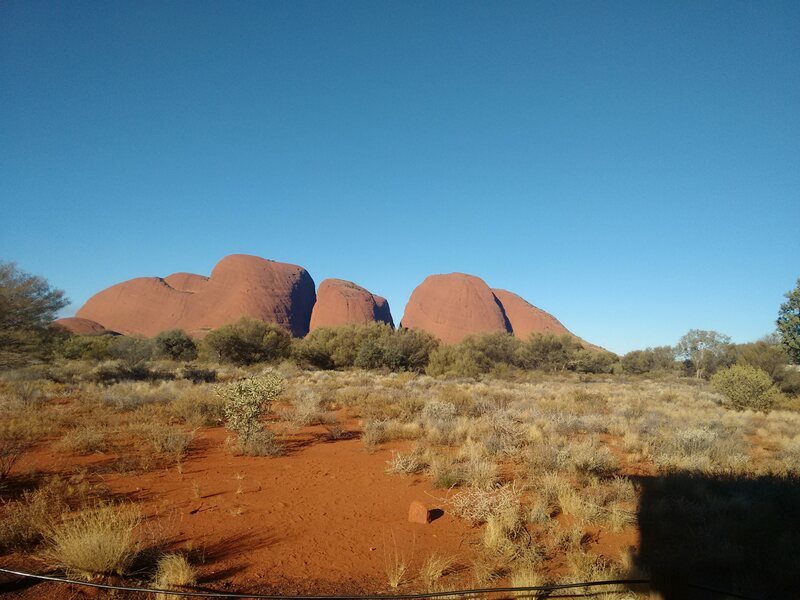 Then we had breakfast and went to Kata-Tjuta. We walked to a lookout at the top of a hill, then walked down again. 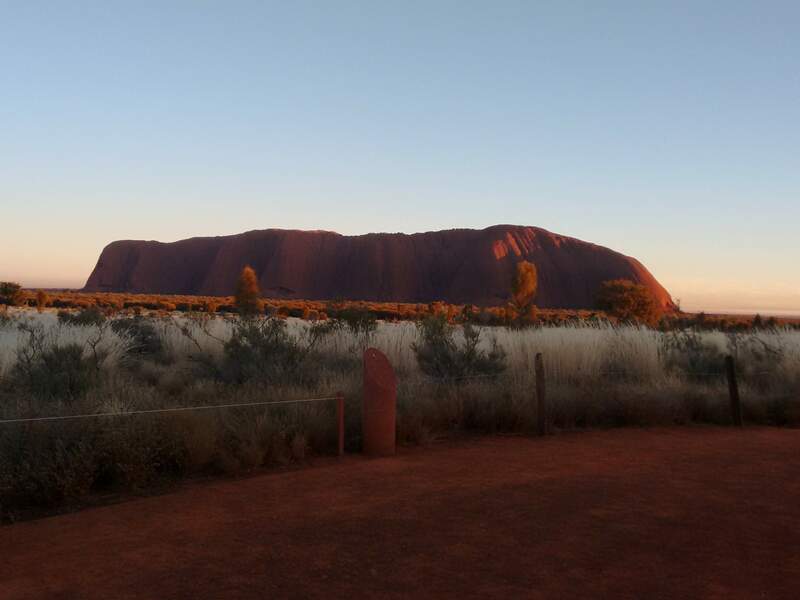 I loved seeing the sunset over Uluru and the colours changing right in front of my eyes. 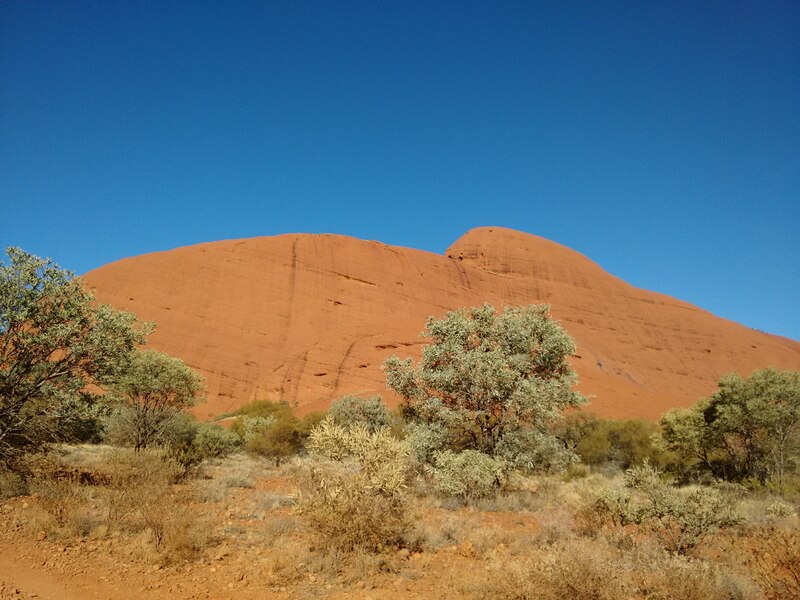 I also liked seeing Kata-Tjuta, they turned amazing colours. 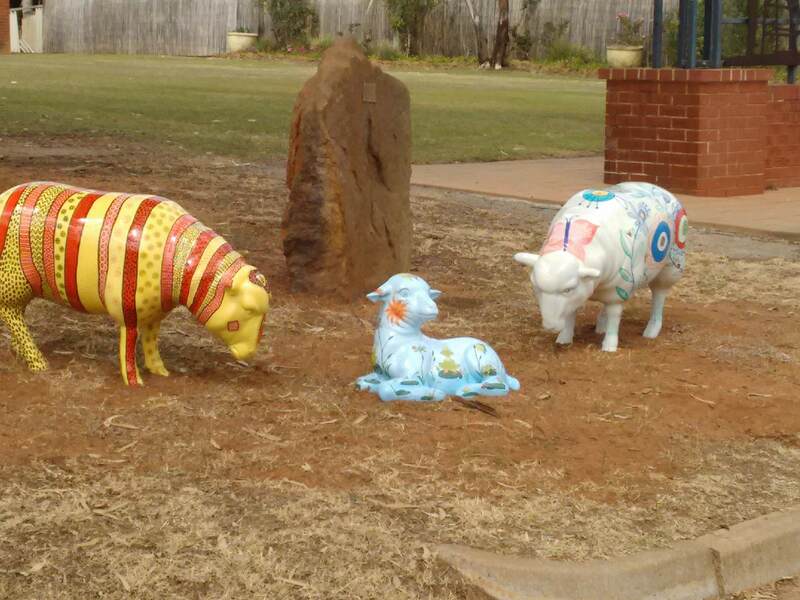 Hi, I have arrived in South Australia, to get to the campsite we had to go through these towns: Ararat, Nhill, Bordertown, Stawell, Beaufort, Horsham, Loxton and Pinnaroo. We are camping near Berri, I have found some walking tracks. 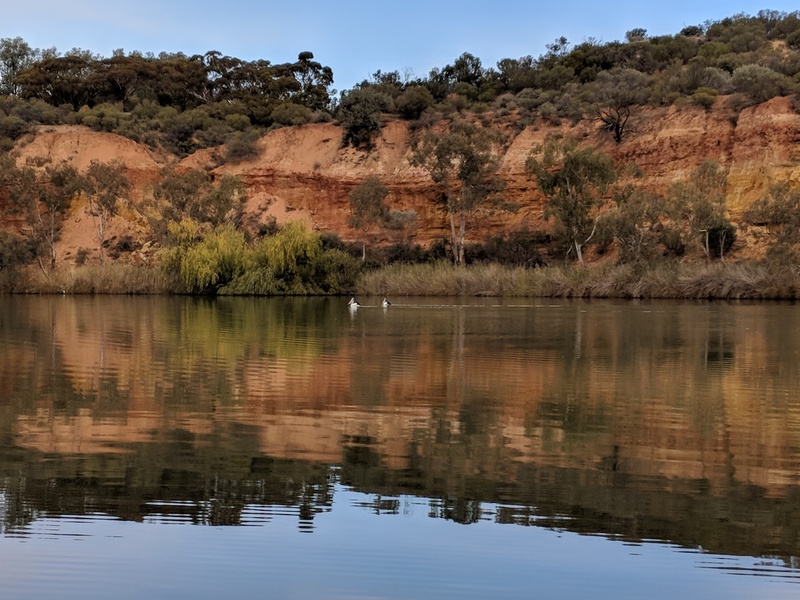 We are camping by the Murray River. 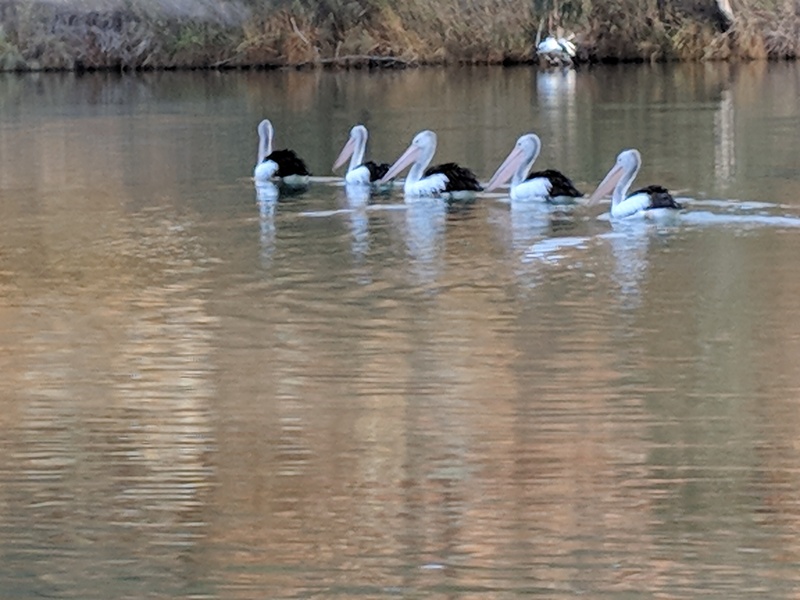 It is very cold in the mornings and there are always pelicans on the river. I am looking forward to going to some warmer places. Here are some pictures I drew.